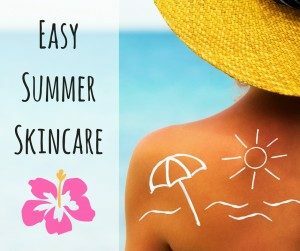 Whether you are spending your long summer days at the beach or just running errands, sun exposure can wreak havoc on your skin. Although sun exposure is beneficial in boosting your mood and Vitamin D levels, UV rays can also cause early signs of aging and skin cancer. Before chasing that beautiful summer glow, it is important that you take measures to properly care for your skin. Students in cosmetology programs are continuously tested and asked for advice on how to maintain healthy skin. If you’re a student in a cosmetology or skin care program, share these tips with your clients to help protect their skin and give them stunning summer skin. The sun may be unavoidable in the summertime, but there are plenty of ways to limit its negative effects on your skin. If possible, extended sun exposure should be avoided between 10 a.m. and 4 p.m. when the sun’s rays are strongest. Because this is not a realistic expectation for many, always encourage your clients to wear sunscreen. Sunscreen should be worn any time you are outside, even if for a short period of time. Apply sunscreen 15 to 20 minutes prior to sun exposure and then reapply at least every two hours. Also remember to protect your lips, hands, feet, and neck, as these areas are very susceptible to skin damage and are commonly forgotten. There are countless choices available, so your clients can opt for oil-free, mattifying, or sensitive skin formulas to fit their individual needs. Living a healthy and active lifestyle can actually have a large impact on your skin. Exposure to the sun tends to dry out your skin, so hydration can go a long way. Drinking more water and eating foods like watermelon, leafy greens or berries keeps your body hydrated and provides antioxidants that help to reverse sun damage. Exercising causes you to sweat, which then increases circulation in your body, releases toxins and loosens the dirt in your pores to give you clear, glowing skin. Spritzing the skin with toners or mineral waters after exercising will help to replace valuable nutrients that are lost in sweat. So encourage your clients to stay hydrated and get active this summer — it will benefit more than just their skin. To keep skin radiant and smooth, encourage your customers to step up their skin care game. Because the sun dries out skin faster, you should exfoliate more often to remove dead skin cells and clean pores. Suggest deep exfoliation twice a week for drier skin and more often for oily skin, remembering to moisturize after. In addition to daily moisture, lotions and soothing gels should be applied immediately after sun exposure to cool and heal skin. Cutting back on makeup will save your clients time and effort while giving them clear, healthy skin. To avoid clogged pores and blemishes, opt for makeup with a lighter formula. Products like BB cream or moisturizers with self-tanner take an all-in-one approach, evening skin tones and giving you a lightweight summer glow. If wearing makeup, keep it minimal and be sure to choose versions that also include SPF protection. Switch out lipsticks and glosses for lip balm for long-lasting moisture and shine. Don’t miss out on adventure because of sun damaged skin — follow these simple tips and you will have healthy, radiant skin all summer. If you are interested in learning more about our skin care and cosmetology programs, contact Health and Style Institute today!